Bhagavad Gita Art Gallery--Plate 4: Krishna and Arjuna sounded their transcendental conchshells..
Krishna and Arjuna sounded their transcendental conchshells. 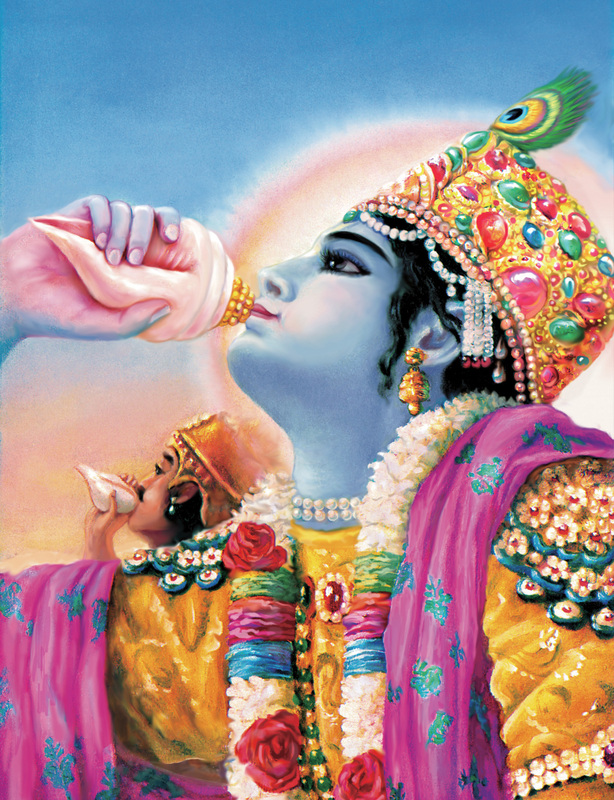 PREVIOUS Bhagavad-gita 1.14 Krishna blows His transcendental conchshell to herald the battle. Arjuna is seen in the background.